Known as the last Eden of Africa, Gabon is abundant with emerald wilderness. Nestled on the west coast of Africa, it is home to approximately 2 million people. Gabon is the land of intriguing wildlife, golden coastlines, and untouched rainforests. Popular attractions include Loango National Park, Notre-dame de Lourdes, Akanda National Park and Pointe-Denis Beach. Cheap flights to Gabon are now available for a limited period of time, so get ready to explore this West African destination’s one-of-a-kind wonders! The capital city, Libreville, is the home of Libreville International Airport (LBV), which is a 15-minute drive from the city centre. 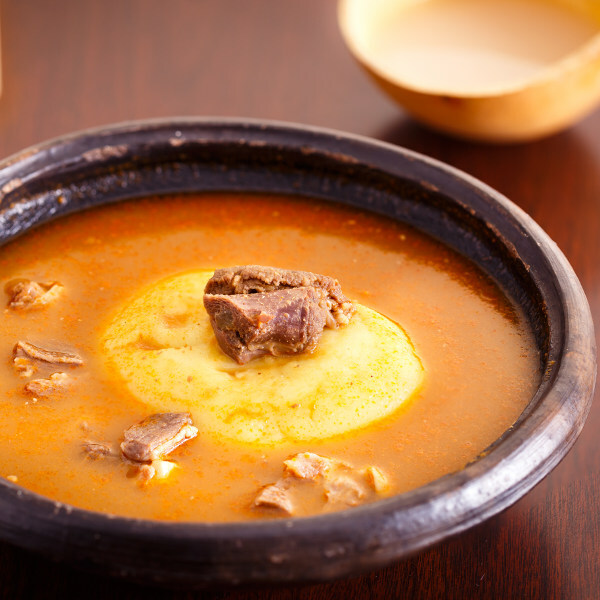 Enjoy the blend of traditional African ingredients and French flavours as you explore delicious Gabonese dishes. Specialties include braised fish, brochette (slow-roasted and skewered meat), and bouillon de poisson (fish stew). Most of Gabon is still covered by tropical rainforest. Trek across the country’s grasslands, savannas, rivers and lagoons, which are home to incredible flora and fauna. 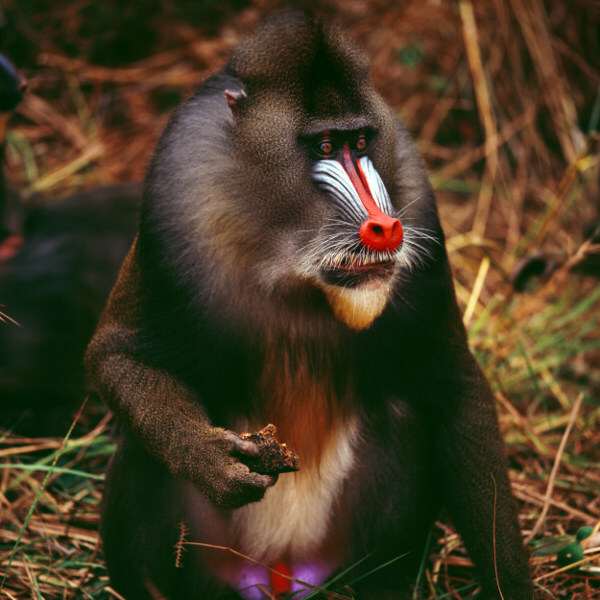 Forest elephants, gorillas, leopards and various monkey species can be seen in Gabon. 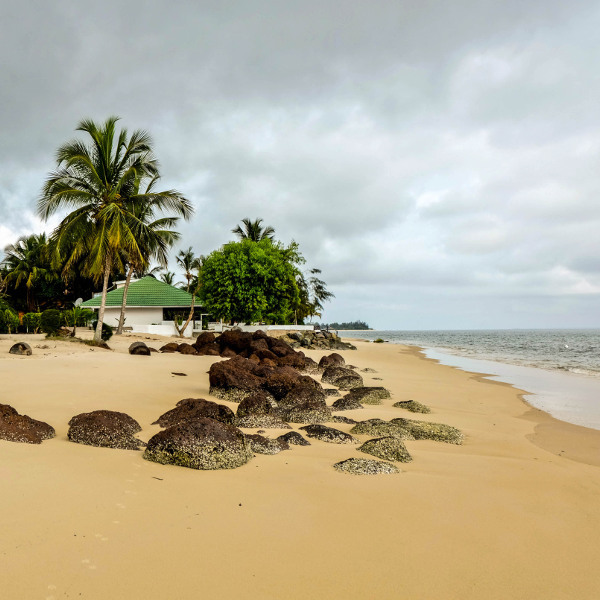 Gabon has exquisite beaches ideal for relaxation and taking in the sweet ocean breeze. If you’re lucky, you might be able to see whales in the tranquil waters. A day of sun-kissed skin should be planned in your holiday itinerary. Gabon has a tropical climate as it is located on the equator. The coast experiences less humidity and you can expect less rain south of the country. You can visit Gabon any time of year. The long dry season occurs from May to September, while the short dry season can be felt from December to January. The temperature averages around 32°C during March. For cheap flights to the capital city of Libreville, visit during the low season (February to April). The chance of high rainfall increases, but there are always days of sunshine to be enjoyed. Gabon is considered the last Eden on Earth, a term that is hard to deny as you bask in its tropical majesty. The West African country is abundant with diverse wildlife. Seeing animals such as elephants and gorillas in their natural habitat leaves you with a strong sense of intrigue. Discover white sand beaches, jungles, and a vast number of national parks. It is impossible to not feel at one with the best of Africa’s diverse nature in this dynamic destination. Along with the beautiful landscapes, you can visit a Bwiti village and take in the authentic traditions and culture of the west African people. The local villages are quite remote; therefore, it can be difficult to venture to any of them. Consider yourself extremely lucky if you get the chance to do it! Gabon is one of the wealthiest African countries as its oil, mineral reserves and national parks feed its economy. Journey to this incredible country for the chance to be amazed at the beauty Africa beholds! Compare several airlines and book your cheap flights to Gabon online at Travelstart! You should be up-to-date on routine vaccinations, including measles-mumps-rubella (MMR) vaccine, diptheria-tetanus-pertussis vaccine, varicella (chickenpox) vaccine, polio vaccine, and yearly flu shot. You should also consider obtaining vaccinations for hepatitis A, typhoid and malaria. A yellow fever vaccination certificate is required upon entering Gabon. Responsible travelling involves taking sensible care when touring the country. Be sure to remain vigilant throughout your stay in Gabon’s cities. • Be cautious on isolated beaches and avoid the beaches at night. • Only use authorised taxis. • Be wary of pick-pockets and bag-snatchers in public spaces.